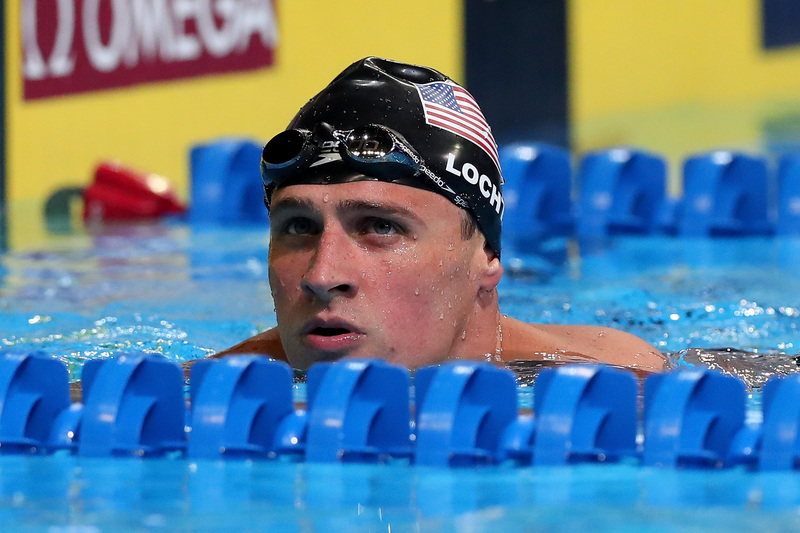 There have been a lot of discrepancies in U.S. swimmer Ryan Lochte's account of what happened to him and three other swimmers on the morning of Aug. 14. He alleged that he and three fellow American athletes were robbed at gunpoint after leaving a party at Club France at 4 a.m. local time. However, Brazilian police have since called the entire story a fabrication. No, we don't know exactly what happened on Sunday morning, but Lochte's allegations aren't just about "kids making a mistake," as Mario Andrada, the Rio 2016 spokesman, said in a statement on Wednesday. In fact, the American swimmer's claims have real implications for Brazilians, especially given the international outrage over the alleged robbery. In an early account of the incident where Lochte and the three other athletes were allegedly robbed at gunpoint, Lochte told NBC News, "The guy pulled out his gun, he cocked it, put it to my forehead, and he said, ‘Get down,’ and I put my hands up. I was like, 'Whatever.' He took our money, he took my wallet — he left my cell phone, he left my credentials." However, Brazilian authorities declared that the story was simply untrue in a statement, pointing to video footage and witness testimonies as evidence. Instead, police alleged the U.S. swimmers vandalized a gas station restroom and tried to leave before police showed up. Since then, the United States Olympic Committee has publicly apologized for the swimmers' behavior, which it described as a "distracting ordeal." For Olympic athletes — and especially for Americans — voicing such allegations while visiting a city that has already faced serious scrutiny from Western media leading up to the Olympics is not only irresponsible but is also incredibly damaging. Consider the fact alone that many Brazilians can't even afford to attend the Olympic events, paired with the hundreds of poor residents who were first displaced and then criminalized in preparation for housing the Olympic athletes. And then throw in the international scandal that Lochte's story provoked, along with already deeply rooted concerns over the Zika virus, pollution, and crime in Brazil. Ahead of Brazil's 2014 World Cup, news outlets began reporting more heavily on Rio's crime rate. One Washington Post headline noted "Brazil's advice to World Cup tourists: Don't scream if robbed." Another headline ahead of the Olympics from Breitbart read, "That's How Rio Is: Brazil Security Chief Reacts to Pre-Olympics Violent Crime Wave." Yes, there are crime, poverty, and health issues in Rio. However, these alarmist headlines risk provoking a racialized fear of the "Global South" in their Western readers. For that reason alone, we can't simply brush off Lochte's actions as being those of a kid who had a lapse in judgment. He's also long past the age of being treated as a kid. The swimmer turned 32 years old in the beginning of August. Similarly, these types of stories invoke a fear in the Western mind of what could happen to tourists and athletes traveling from the "Global North," a narrative that doesn't spark the same concern when the affected population is Brazilians themselves. The concern ahead of such events is for those traveling from the "First World" — the idea that, Brazil has to get its act together before "we" arrive. Unfortunately, for those who don't hold a United States passport, the privilege of making a silly mistake and then being able to walk away from it untouched simply does not exist. Why should Lochte's status as an American Olympian make him untouchable to a legal system that so often punishes people with far less power and privilege? In this particular context, Lochte's words don't just go away. Instead, they have implications on how the rest of the world views Brazil, especially given the already problematic narrative that Western media coverage has helped to create. In the wake of Lochte's initial allegations, for example, the Washington Post referred to the swimmer as "one of Team USA's charming stars," noting that the "harrowing assault ... amounts to the most serious breach of security ... and it follows a troubling pattern of robbery, gunfire and assaults that call into question the ability of Brazil's security forces to keep participants and fans safe." But in reality, it's kind of the opposite. Now, the city's systemic problems are provoking greater concern for "our" athletes than they are for the Brazilian people themselves.